What if I told you that your mindset determines everything in your life—including your health? There is a saying in personal growth programs that says, “Everything, everything, everything you do is representative about how you operate in the world in general”—behind every single thing you do, there is a behavior pattern that is based on a mindset. Some people call this behavior pattern your M.O. (modus operandi). What they don’t talk about though is why is that your M.O.? Most people sort of accept their M.O. as “just the way they’re wired” or assume they were born that way. But, actually only a small portion of your behavior is due to your innate nature. Almost all of your behavior stems from your overall view of the world and how you experience yourself in that world–or in other words, your mindset about yourself (who you are, what you’re good at, bad at, what’s possible for you, etc.) and your mindset about life in general (is the world safe, friendly, abundant, etc.) . This is what drives behavior, including healthy behaviors or unhealthy behaviors, relationship skills, work habits, etc. Your mindset is the most powerful tool you have. You can create anything with it—positive or negative. If you have any health problems, your mindset is involved—and it is a key player. This is especially true in the areas where you tend to have a fixed mindset. 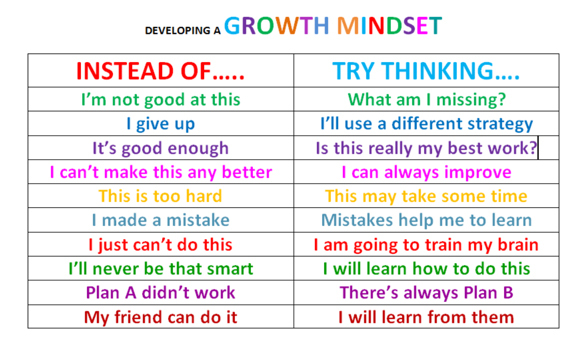 Remember, a fixed mindset is one where you view something as “unchangeable” or ” just the way things are”. Whether you’re struggling with problems like low energy, aches and pains, brain-fog, low moods, weight gain, skin issues—etc., or you have a diagnosed disease, such as autoimmunity, diabetes, heart disease, etc., ALL these symptoms start in the brain—mind. Let’s start by understanding why you do what you do, from a neuropsychological perspective. 1. You have most likely predetermined it is hopeless. If you have tried to kick sugar many times before and never succeeded, you may have a strong belief that you cannot kick it—that you lack will-power, courage, etc. Then, you will unknowingly fail because you had already decided you would fail before you even started. It’s the old saying: Whether you believe you can or believe you can’t—it’s true. 2. Not understanding the unconscious benefits you are receiving. If you don’t know what benefits you are getting from eating a lot of sugar, or what you’re subconsciously afraid will happen if you stop using it, then you’re going to have a very difficult time stopping or staying off sugar for the long haul. The problem is, like all addictive substances (sugar has been shown to be as addictive as cocaine or heroine), the positive benefits and feelings are short-lived, and then you suffer the consequences (tired, achy, diminishing health). Some fears about kicking the sugar addiction: you may feel tired, irritable, lack focus, miss the taste, miss the comfort. While all these symptoms of withdrawal are challenging, they will pass after 5-7 days. 3. This is related to #2, but a different aspect. Each time you eat sugar, the brain wires itself for a habit. It etches deeper and deeper grooves into your brain’s memory of how good it feels at the time. This quickly becomes a habitual way of trying to feel good, medicate unpleasant feelings, etc. To rewire the brain for healthier habits that not only lead to self-healing, but also to feeling and looking good, and finding inner peace and joy, it is important to start new habits. Wishing you a beautiful week with lots of positive, growth mindset thoughts and a life you love.